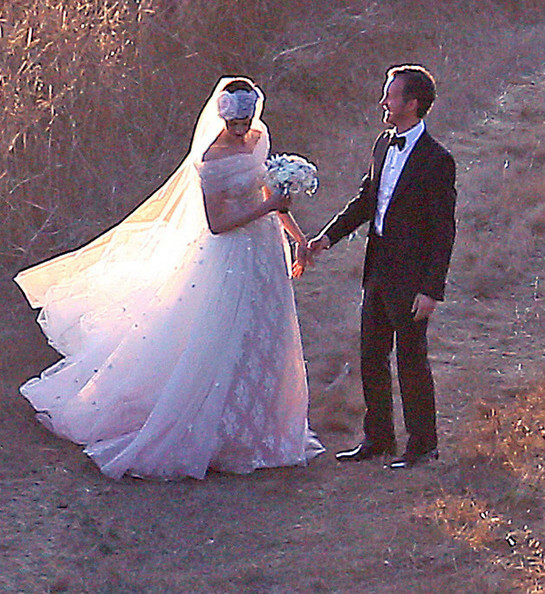 Anne Hathaway in Valentino Wedding Gown – I die. Can we please discuss the absolute perfection of this custom Valentino gown Anne Hathaway wore at her wedding this past weekend? I mean, it’s a floaty, cloudy, heavenly dream. “According to a rep for Valentino, the design team created a strapless ivory silk point d’esprit tulle dress, which includes a pink hand-painted shaded train embroidered with satin flowers. The 1920s-inspired veil consists of a lace ribbon with a large flower, adorned with small crystal beads.” – Original article found here. And then it gets even freakin’ better. 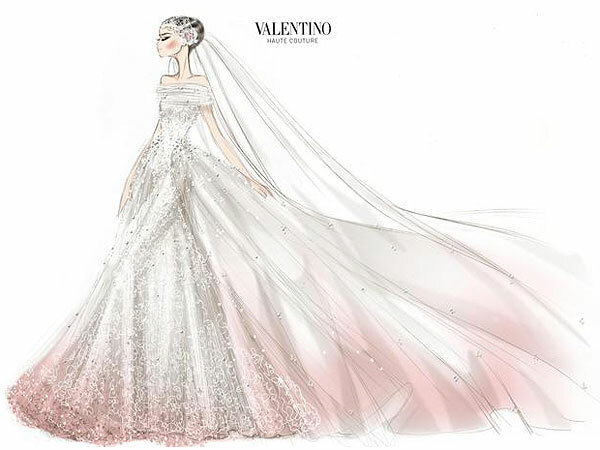 Check out the sketch from Valentino himself. I’m a Southern Bride Blogger!